Back when I was fortunate enough to have a dog growing up, I’m pretty sure all of my family members and myself were pretty bad pet owners. And by bad, I mean indulgent. That dog had free rein to lick all the plates in our dishwasher, never lacked for people food, and had plenty of treats. Meanwhile, her long walks and runs were sparse. Somehow, she lived until the age of 16, probably due to the longevity afforded the beagle-hound mutt over pure breeds. Even with her few extra pounds, we just thought there was more of her to love. Apparently, Muffin’s fate was not unusual. The New York Times contains a wake-up call for some pet owners today, asking, “Time to Put Fluffy And Fido OnA Diet?” Apparently, although veterinarians report that about half the pets they see are overweight or obese, only 17 percent of pet owners acknowledge that their canine pals could stand to lose a few pounds. My family definitely would have been in that category. 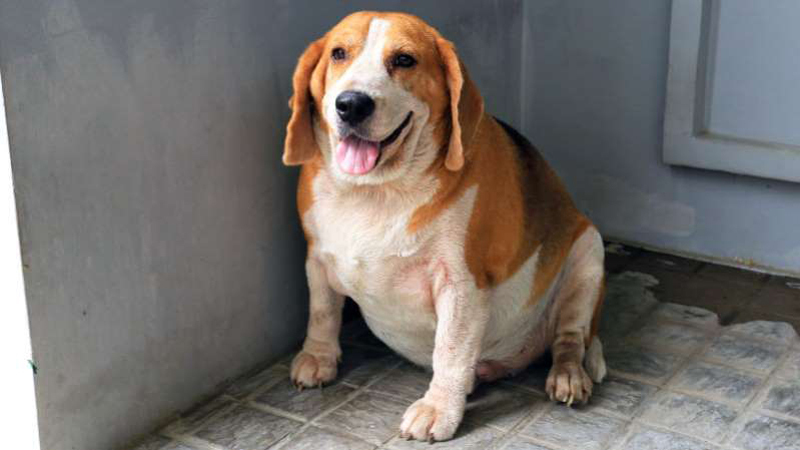 How to save your pet from these dire obesity consequences? The Times points to methods like frequently weighing them to keep tabs on their weight, measuring food carefully, and providing regular physical activity (which has the bonus of benefiting you as well). And although sometimes it takes superhuman strength of will: Discourage begging and feeding from the table to help keep your canine companion at a healthy weight level. Right now I am trying to get my family on board with getting a new beagle mutt, and I swear if I’m successful I will keep these suggestions in mind for a healthier (and probably happier?) dog this time around.